The Gregorian is a speech digest published four times a year by the Gregorian Institute at Benedictine College, Kansas. Each issue of the publication brings you speeches by noted speakers from events hosted by the Gregorian Institute. Subscriptions to the Gregorian speech digest are free. Why not take a moment to order now by filling out the form on the right? The crisis of our day is the separation of faith from public life. We bring you crucial speeches from the Church’s most inspiring figures, who bring Faith and Reason to bear on the critical issues that confront our country and our world. Faith, politics, business, social policy, science, technology, the environment – you’ll find the entire range of human experience reflected in The Gregorian. And it is brought to you FREE by Benedictine College. Published by the Gregorian Institute at Benedictine College, Kansas. The Gregorian is a project of Benedictine College in Atchison, Kansas. With 150 years roots in the Midwest, we have become a national success story because of our fidelity to the magisterium and our mission of dynamic community, thriving faith and inspiring scholarship. 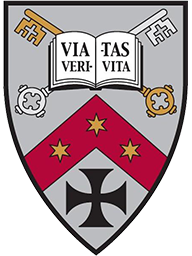 The Cardinal Newman Society, First Things and U.S. News & World Report all call Benedictine College one of America’s best universities.